I receive a lot of inquiries about the tack used in racing. My hands-on riding experience is with hunter/jumpers, but I’ve learned quite a bit (ha!) by watching and shooting so much horse racing. The basic principles of bitting and horsemanship cross disciplines and continents. The age-old sentiment about even the mildest bit being dangerous in cruel hands is just as true in horse racing as it is in dressage, reining, or endurance riding. 1. The Chifney Bit. The Chifney was invented by a jockey named Samuel Chifney (1753 – 1807). Used for leading in hand and commonly seen at Thoroughbred sales. It’s also called an anti-rearing bit and it can have a straight or ported mouthpiece. Click here for a view of a chifney with a curved mouthpiece. The bit has three external rings: two attach to the horse;s halter and one attached to a lead line. When I see young horses at sales, I’ve noticed that the chifney has an added benefit: the horses play with the mouthpiece, which can be calming for them. During the time when young horses are prepped for a sale, they are trained to lead and stand, but these skills are put to the test in the unfamiliar surroundings of a sale. 2. Regulator. 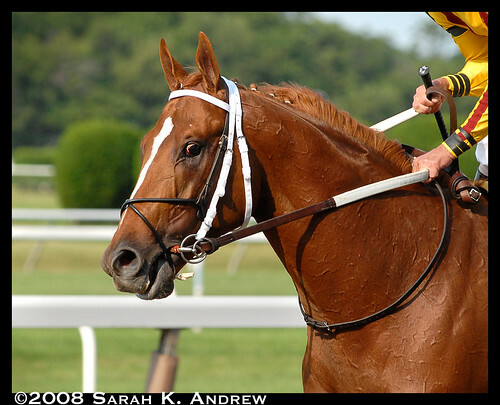 Also known as, “what the heck kind of bit is Curlin wearing?” You can see the leather-covered mouthpiece here. 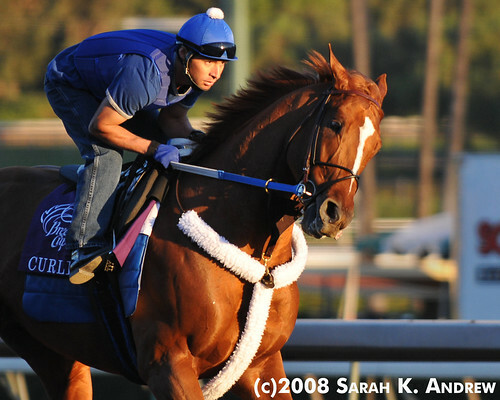 In training, Curlin tended to tilt his head sideways (he did not seem to have the same problem on race day- perhaps it was only at slower gaits). A bit like helps keep a horse travelling straight. 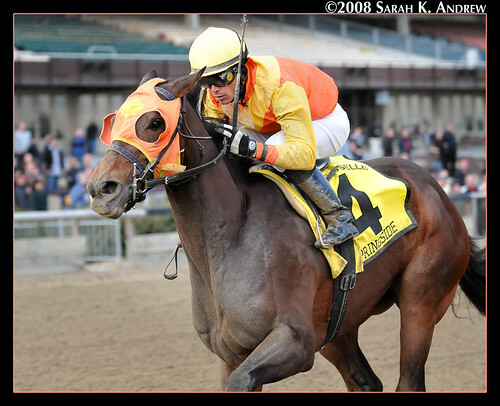 Although Curlin always smoothly navigated his turns, I’ve also seen this type of bit on horses who bolt or drift out on turns. 3. Dexter Ring Bit. You can see the mouthpiece here. The ring bit has two mouthpieces: one jointed snaffle mouthpiece and one ring that encircles the horse’s lower jaw. The snaffle portion of the bit can have metal, plastic or rubber coating and the ring is metal. The cheekpieces are of varying shapes, as are the metal “spoons” below the mouth. 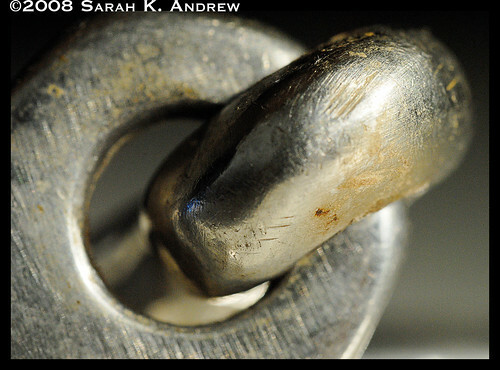 A ring bit is commonly used on strong horses since it adds stopping power. The bit also increases steering power since a rider has the added leverage on the horse’s lower jaw. Big Brown raced in a ring bit. 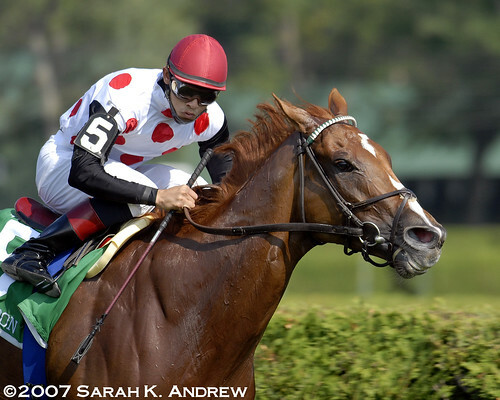 Jockey Kent Desormeaux used the bit to rate the strong and powerful horse in the beginning of his races. 4. Loose Ring Snaffle. Dressage riders, you’ve seen this one, right? Jumpers? Western riders? This is one of the most universal bits. It’s also considered one of the mildest bits. 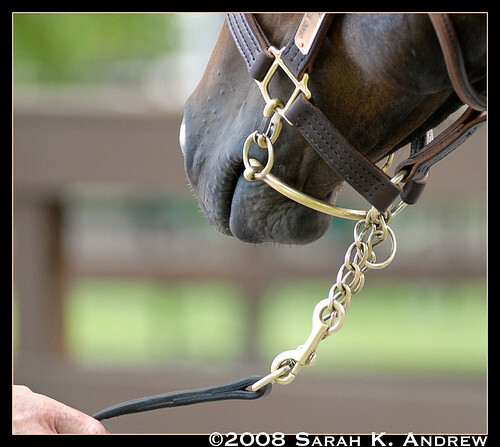 Hall of Fame trainer Shug McGaughey commonly trains and races his horses in a fat loose ring snaffle. 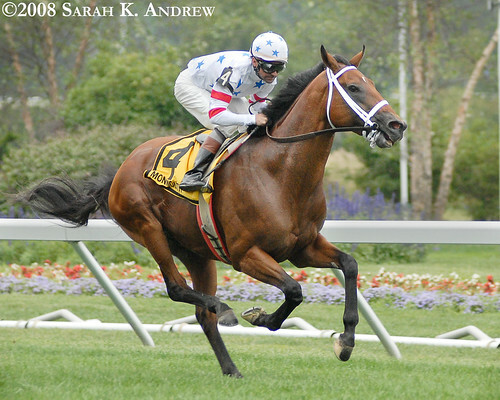 This is Offshore, half brother to the brilliant and ill-fated filly Pine Island. 5. Full Cheek Snaffle. Ahhhh, show and pleasure riders, another familiar bit, eh? A full cheek snaffle has a round ring on each end, with a straight piece that rests on the horse’s cheeks. The straight pieces help with steering on green horses and also prevent the rings from passing through the horse’s mouth with one-sided rein pressure. Full cheek snaffles are not as common on track as some other bits but I do see them every once in a while. I know this sounds like a *really* silly question, but… what do you know about jockey’s race boots? It always looks like they’re clinging to the stirrups by their two biggest toes. Are the soles extremely thin and flexible? I can’t help but to comment on your comment. Yes, jockey’s boots have very thin, flexible soles. I was only an exercise rider and one day when I treated myself to a full-body massage, the masseuse commented on my strong feet. Funny, huh? Thank you very much! I’m really glad you enjoyed it- I plan to write more posts like this in the future. Good question. From what I can see, they are very thin-soled and amazingly lightweight. 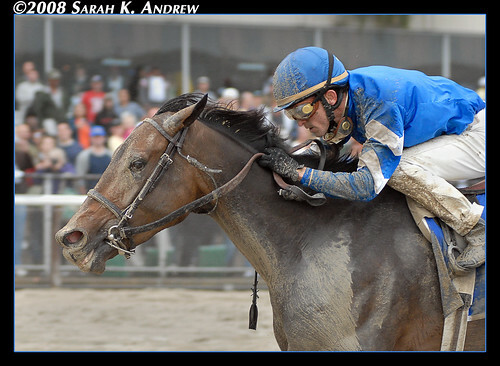 I asked a favorite jockey for additional input and I’ll post her answer as soon as I get it. 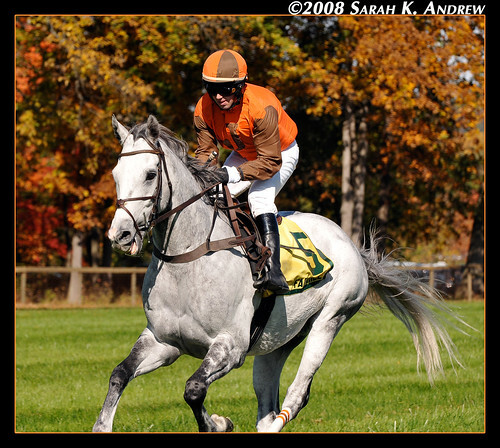 Funder… I heard back from my jockey friend and she said the boots are very light and thin. They have grip on the treads and the soles are flexible. oops, sorry, I should scroll down before I make comments. Hi There , Could you tell me or recommend to me a legal bit that can stop my thoroughbred race horse from lugging out clockwise and lugs in anti clockwise on race days and training. Thank you for your inquiry. 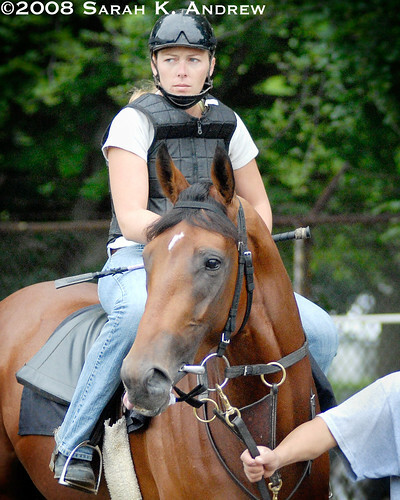 I have no racehorse training experience so I’d recommend asking someone at your track. I’ve seen bit burrs, runout bits, ring bits, and lugging bits used on horses who tend to lug, but you’d need a professional to look at your horse’s running style to determine the cause of the problem, as well as if it’s a training issue, a physical issue, or a tack issue. I have heard of some pretty severe and what I would consider to be inhumane bits to stop a horse from lugging, bits that cut into the corners of the mouth. Why would anyone use such a torture device?? I’d have to agree about what you are saying about the bits looking like torture devices. In the right hands those bits are meant to retrain a horse with a bad habit. In the wrong hands, any bit can be a torture device. The bit that is the most bizarre and cruel looking is called a cage bit. It should only do damage to the horse if he should start to lug out and the rider takes hold to correct it. As for why something like that would be used? For the safety of everyone. I will admit that most of the time that a horse is lugging-out, it is because it has an injury that is causing it to do so. To me, that means the horse should have time off. Sadly, that choice is seldom up to the horse, the rider, or even the trainer but the owner. Frequently the owners have the least horse knowledge of anyone and they are paying the bills. I’ve been in a couple of dangerous situations on the track in the morning when a horse was lugging-out and therefore putting other horses and riders at risk by simply not staying where it should be. With the regulator does the rein connect to both rings of the bit ? I can see that the head bridle goes to the big ring only ? ( was I correct in assuming that ? ) thanks ! The bridle connects to the big (inside) ring and the rein connects to the small (outside) ring. Id say the scar was from the tounge tie rather then a bit. I’ve never seen a ‘cheese grater’ type of bit used at all in the racing world. Sarah, I found your blog just recently. Nice article. Coming from the h/j, dressage, eventing world, I’m always curious about the tack. 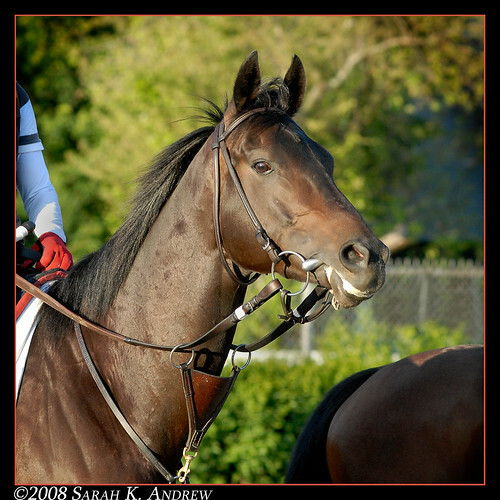 Barbaro went in a hollow-mouth loose ring and I believe I never saw him (at least as a three year old) with a tongue tie. Pretty rare. They are! They are made of patent leather and the sole is very thin. Thank you so much for writing this! I’ve been curious lately about racing bits. But, I do have one question. Are loose ring staffles and D-ring snaffles pretty much the same? I figure that they are, but my curiousity will be the death of me. A loose ring snaffle is a bit different then a D. A loose ring allows the rings to move freely, thus making it harder for the horse to grab and lock onto the bit. The D ring is solid. The Dee swivels, is not “solid”. Super post, I found it so informative. I noticed in the photo’s that you posted for the ‘Loose ring Snaffle’ they all have some kind of band around the lower jaw, which seems to be over their tongue? What is it called and what’s it for? Hi Roxie, those are tongue ties, which can help prevent dorsal displacement of the soft palate. Better do a little more homework on that. The soft palate is behind where the tongue is tied down and DDSP is associated with upper respiratory function. SOME horses will pull their tongues backwards in the mouth which ruins rein control instantly but this is not DDSP. My husband and I just came home from watching the races. I was appalled at the bits used in one particuliar race. I’m hoping someone will tell me what they are from my description and why they were used. There were head chains that ran over the ears, down the sides of the horses head and over their top gums. The tongue was tied down with the rubber band. We had horses and never used anythig like this! Hi Donna, if they rode in it, it sounds like a “war bonnet” that is used in barrel racing? They don’t use them in Thoroughbred racing, though. Are you referring to the lead chains used to walk the horses into the paddock? Barrel Racers do not use bits like shes describing, and its not a war bonnet!! Hi, I just was wondering i am a hunter/jumper, What kind of spurs would you recommend for a really lazy horse? Or whip, or both? And did you ever jump? What did you use, spurs or whip or both??????? 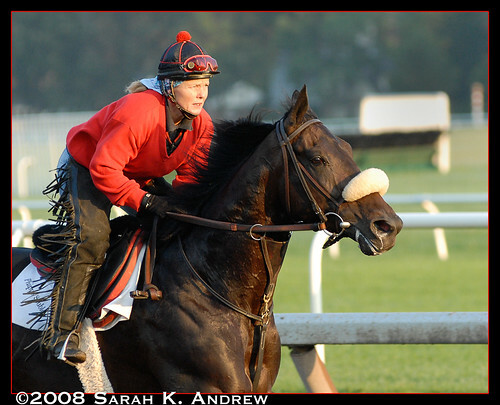 Hey Ann – Your TB might have a dead tongue, from to much bit pressure during racing I would guess, which could have cut off circulation to her tongue. I don’t think there is anything you can do about it, I hope she is eating fine and you can pull her up without to much pressure. You could use a Hackamore/bit combination, but I’ve only seen them in the showjumping fields and I would presume they are quite harsh. If you google ‘re-training the racehorse’ or similar things like that, there should be a couple sites worth reading through! From experience, I’ve learned that the TB is almost like you have to re-break them. Pretend like they are a young 2yo high energy thing that hasn’t got a fully functioning brain …. yet! But I have only gotten ones that are 3-5, I would think the older ones would be different, more chilled, but then again, been racing for longer! I have a 2 yr old that has not made it to the track yet and has never had a bit in her mouth until recently when we started training her, but ever since we got her as a weanling she constantly holds her tongue out the side of her mouth. (We all get great laughs because she appears to be sticking her tongue out at everyone) The vet said it is obviously a habit she picked up as a youngster as a type of pacifier. She does not do it as much when she does have a bit in her mouth but occasionally when she is just standing around you will see her pop it out the side of her lower lips. She does not have any trouble eating or drinking and it has just been more of an odd habit than anything else. 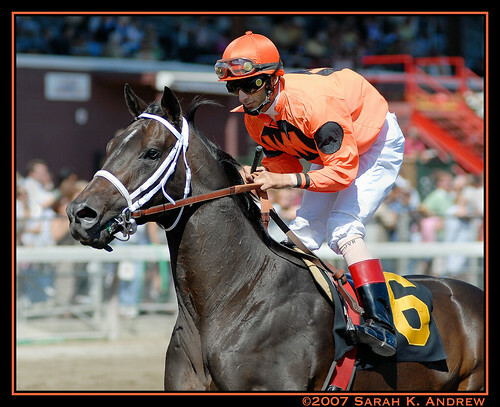 I ride a horse that was in racehorse training but never raced. We used to have to haul back on the reins to get her to stop. I ride western so I put her in a low port copper curb with a plain leather curb strap then taught her how to flex left and right and at her poll, now you can ride with your pinky 🙂 I also work her in a D-ring roller snaffle which helps with nervous horses, also doing flexing. That is her gaming bit, the curb is her western pleasure bit, and for english I put her in a kimberwick. 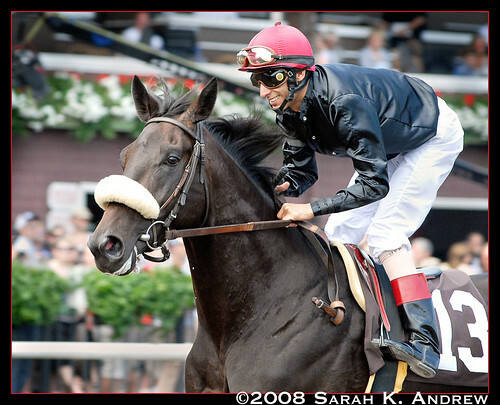 What is the piece that is not a bit but is in just about all race horses? You got full cheek snaffle which I’ve rarely ever seen on a race horse but you didn’t mention the James bit, the Australian bar bit (also known as a houten or a “run off bit”). The most common bits you will see in racing are the dexter ring, d-bit, or the two I mentioned above. I’m sure you all know how a d-bit works (just a d ring snaffle), a ring bit is used for horses that are too tough for a d bit and offers a balance between pulling power and steering power. The James bit and the houghten are almost identical but the houghten has a piece that goes below the jaw. These bits don’t offer much for pulling power (hence why they’re known as run off bits) but offer good steering power. Most horses will never need any more than those 4 bits. There are TONS of bits used in racing. Just a short list of ones I can think of off the top of my head: screw bit* Belmont slider, elevator**, Serena song, spoon bit, gag bit**, and pucket** (although a pucket is technically a bit accessory used for EXTREMELY tough horses. 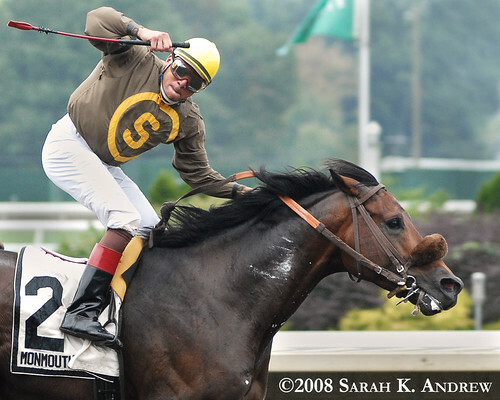 In my 10 years of racing I’ve only had 2 horses that legitimately needed a pucket). There’s also a “win a lot” which is a rubber piece that goes over the horses face and holds the bit up off the horses bottom jaw. And there’s a whole bunch more I can’t actually name. I’ve read through some of these comments and i feel the need to remind people that its not about the bit being used, it’s all about the hands using it… I have one rider (who I don’t use because I like him: long story) who can rip a horses mouth open with a snaffle, and my other rider doesn’t leave a single mark with even the most severe bits (although this guy rarely needs a severe bit unless he’s fixing a horse someone else REALLYmessed up). FYI I have no idea what this blog is about and I’ve never read it, I was actually shopping for some new bits online and google sent me here. Can anyone identify what type of bits theses are?